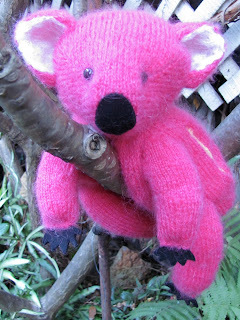 Excuse me, but this is NOT a gum tree! Well - time for a little bit of a catch-up post - catching up on some of the things that have (amazingly) been finished in the last month or so. As always - I've been knitting a lot! 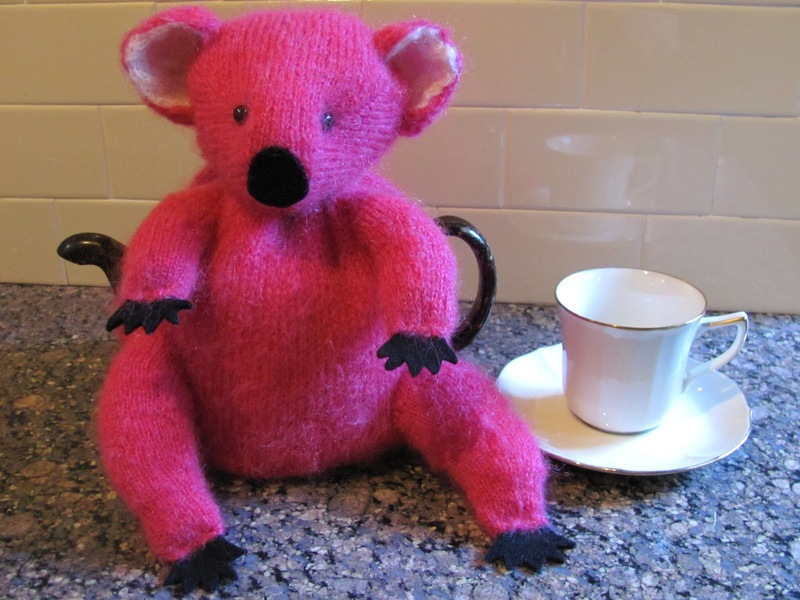 This Koala Tea-Cosy is a for a friend who is a very proud 'Bear' and he asked for pink !! 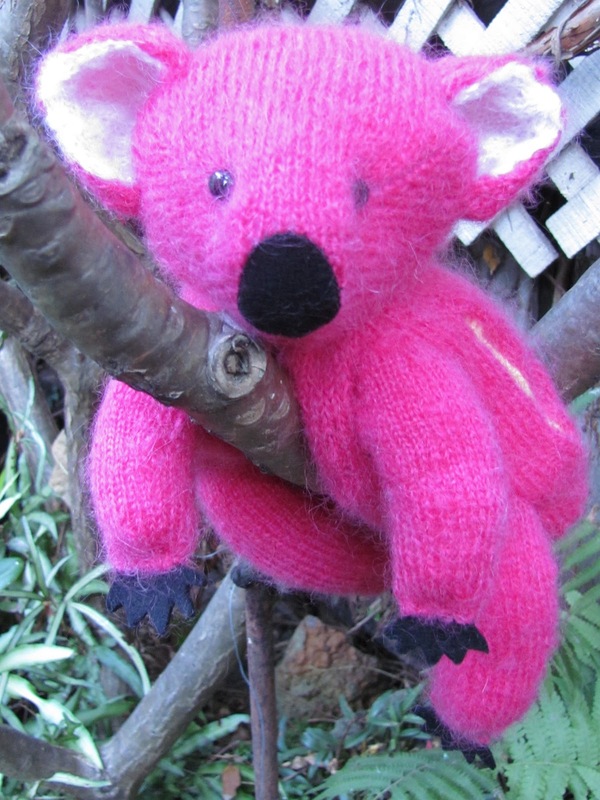 So - Pink mohair yarn, with primrose lemon lining, thick black felt for nose & claws and button eyes. The pattern is a blend of Vintage Tea Cosy and Barbara Lennon's Koala from an out of print Cleckheaton pattern leaflet (please don't ask for a copy - it is still in copyright). 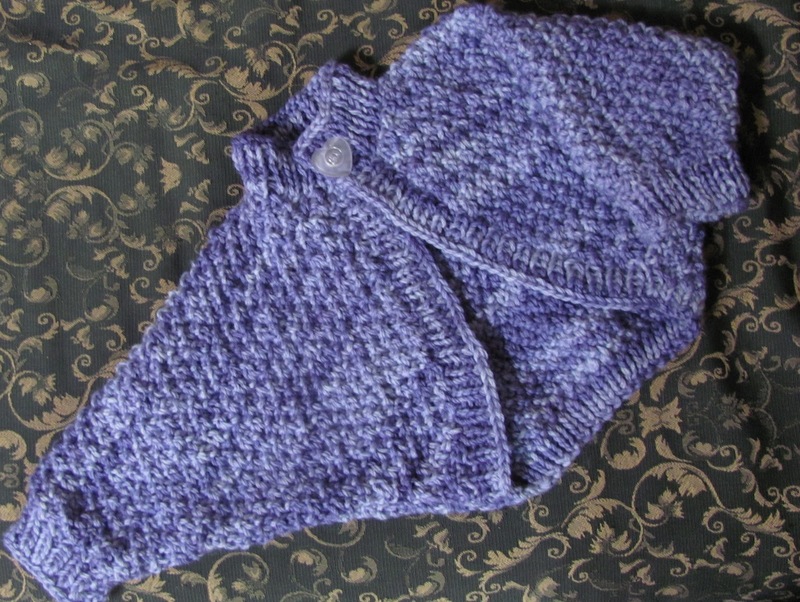 the yarn is my own kettle-dyed and hand-spun - there are green aventurine beads on each of the points. 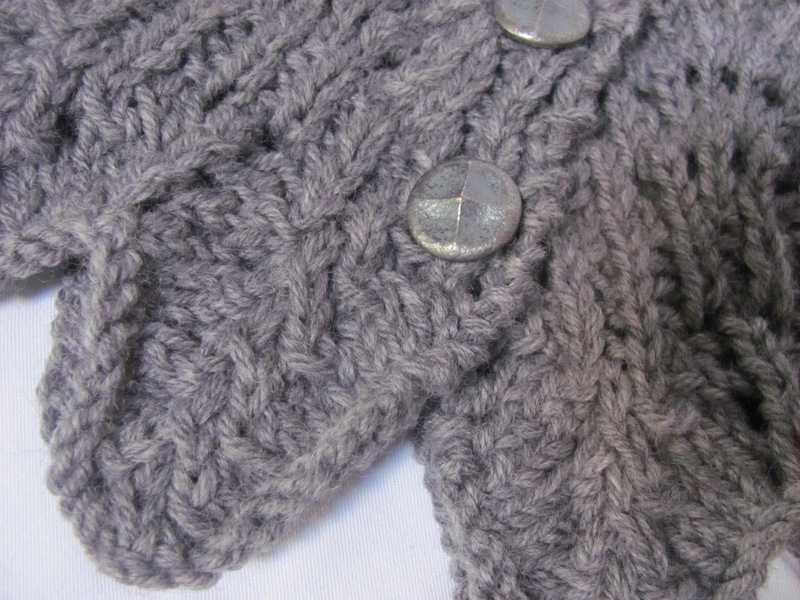 There is one made in white alpaca yarn and this one in grey wool. 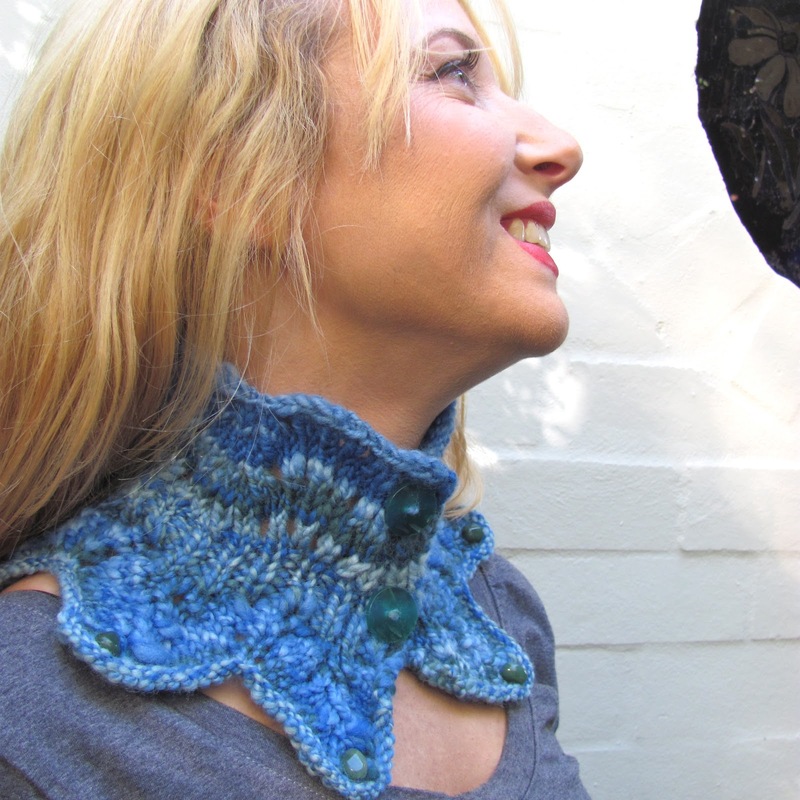 With the very different yarns - each collar is quite different in style. 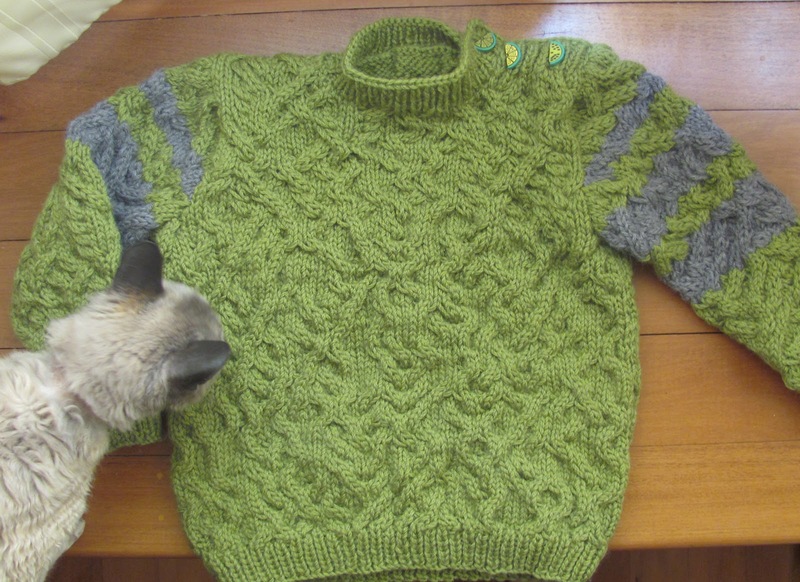 With the cooler weather starting here it was time to finish this jumper for my grandson. 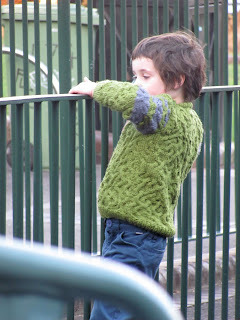 I started it back in 2009 - it was turning out too large for grandson back then but he has grown! And as I'd only got as far as the arm-holes I could add length ... but I ran out of yarn - hence the grey stripes in the sleeves. 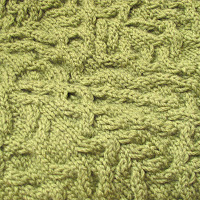 The pattern is Chaos from knitty. And I love the random cabling, it produces a fantastic texture. I used a thicker yarn than the pattern calls for and this is a very warm jumper. I used Bendigo Woollen Mills 12ply in Guava. It should fit for this winter at any rate! 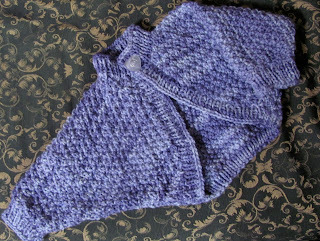 For my Granddaughter - a bolero from a vintage pattern - Bernat Handicrafter book no. 47 (dated 1956). 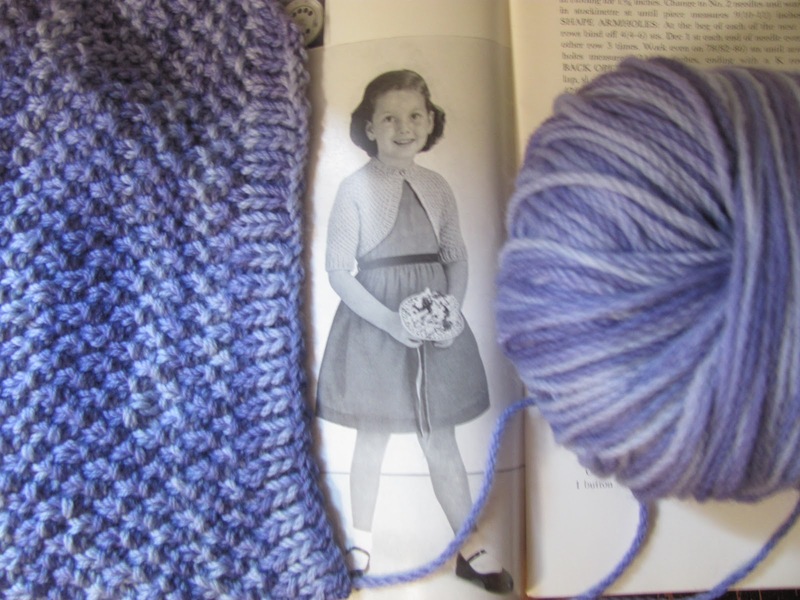 I dyed the yarn myself (it is Bendigo Woollen Mills again - it was white). 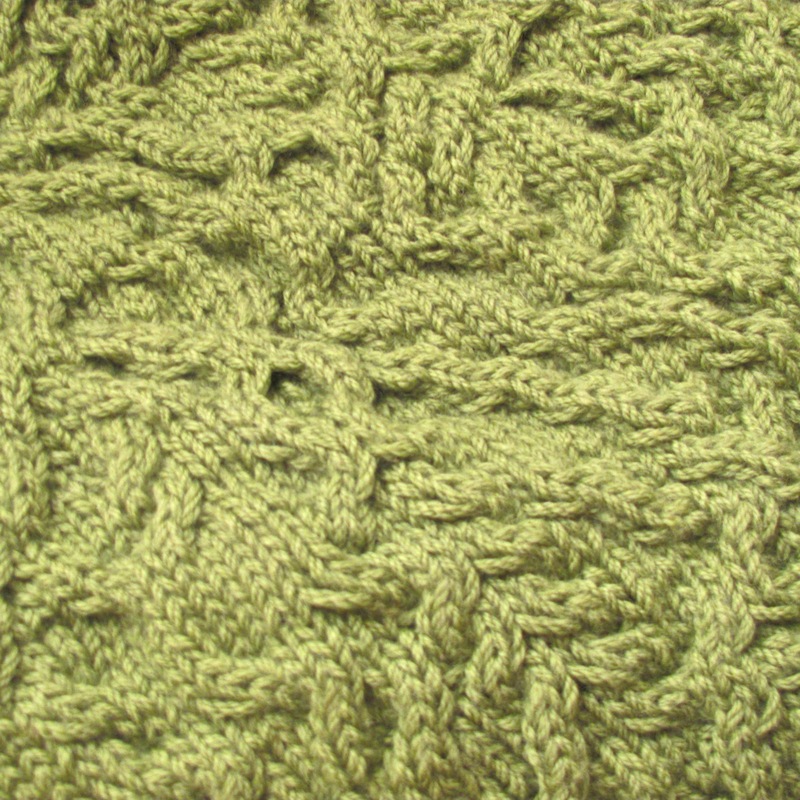 The bolero is in a modified Moss Stitch and I think the variegations look quite nice. As always - a lot of knitting has been for Blythe Dolls. 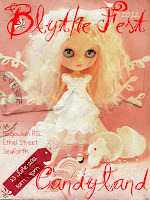 This is my donation to the BlytheFest 2012. 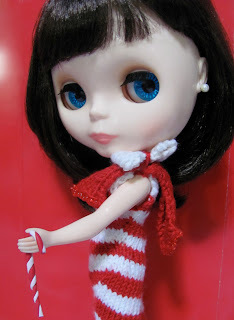 The theme is CandyLand - so I knitted a Candy Cane dress. 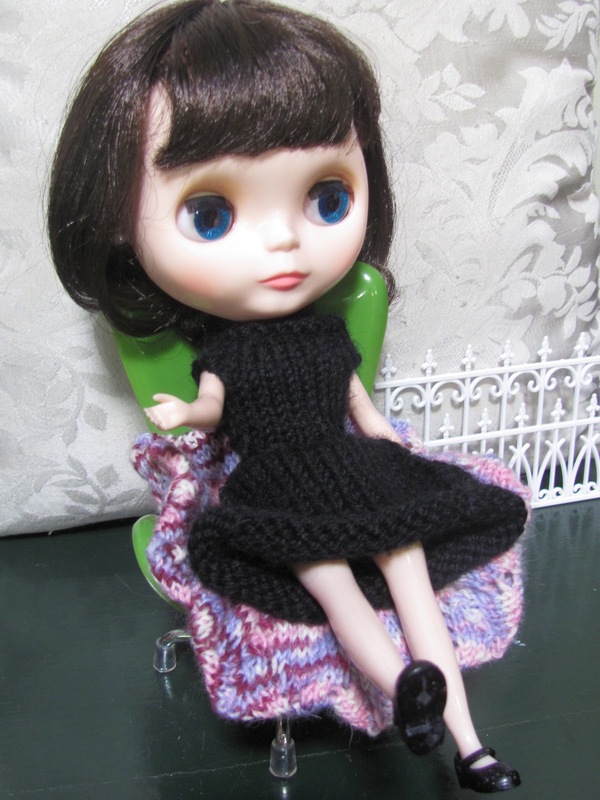 Knitted from sock yarn, the dress is all asymmetrical & twisty and it fastens with a fake bow on one shoulder. 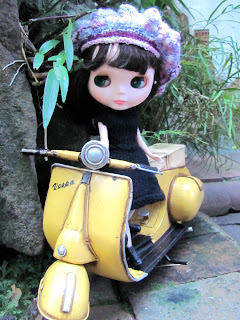 You'll have noticed the beret ? When I gave this to Auds she wasn't sure what it was. Perhaps it is a cushion? Oh! it is a Hat! 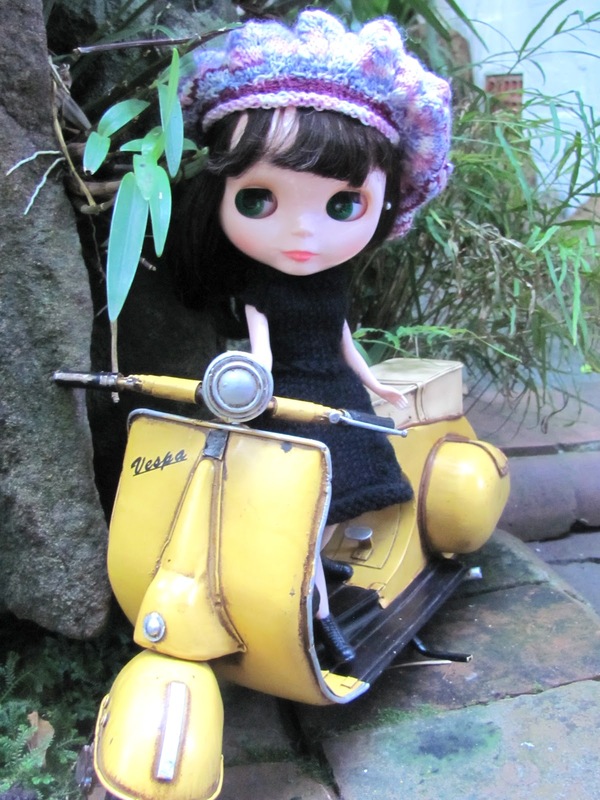 Yes Audrey - it is a hat! 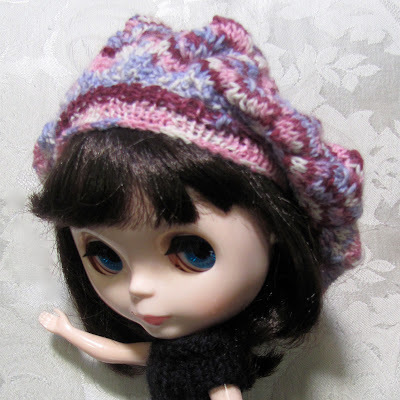 I was quite pleased at how the colours in this self-striping sock yarn (JigSaw I think) distributed themselves on the beret, the dark maroon was going to one side and the white all went to the other ... I tweeked things a little to maintain this as the number of stitches decreased. But depending which way you turn this beret (or tam) - it is a pastel hat or a boldly striped one. Ciao people ... 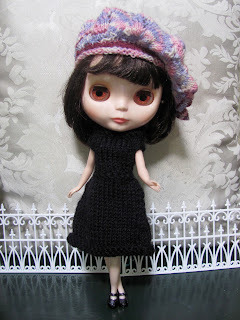 I'm sure that there will be more photos of me in the next post. Adore that bolero Lyndell, it's so pretty, can/do you make in Blythe size? Ooo that's a thought ! !